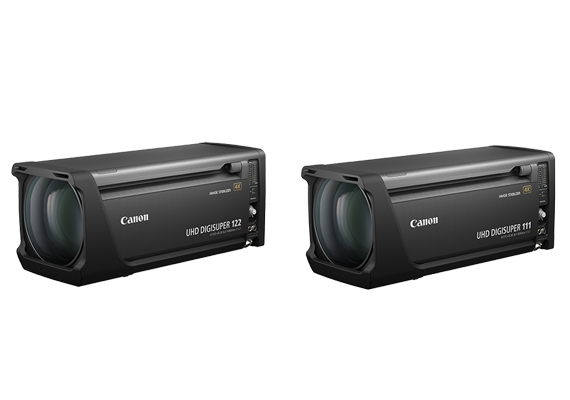 SINGAPORE, 2 April 2019 - Canon today announced the launch of the CJ18ex28B and the CJ15ex8.5B, two new additions to the UHDgc series of portable zoom lenses for 4K broadcast cameras employing 2/3-inch sensors. 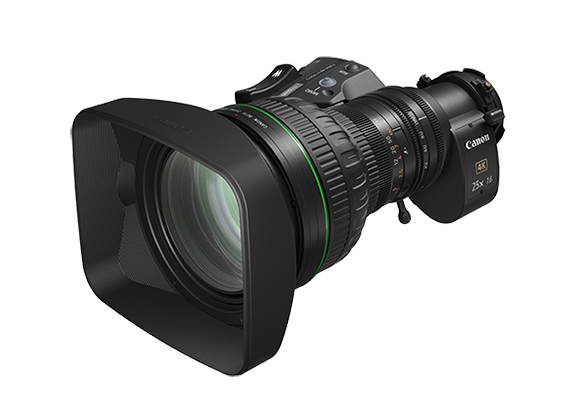 Both lenses deliver 4K optical performance, excellent maneuverability and handling comparable to lenses for HD broadcast cameras. 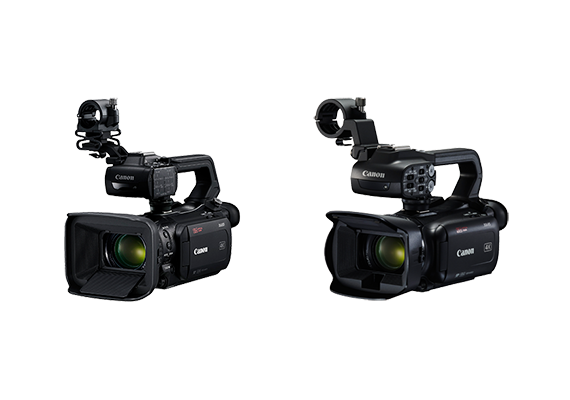 By expanding its UHDgc series lineup, Canon is able to meet the wide-ranging needs of documentary production, event filming and news reporting in the video production field. Both lenses are manufactured with fluorite and Ultra-low Dispersion (UD) glass elements and coupled with Canon’s proprietary optical technology to achieve superior imaging quality. The high level of imaging performance suppresses chromatic aberrations to realize superlative color reproduction uniformly across the entire image. With lens coating technology and a design that prevents reflections within the lens barrel, the lenses reduce the occurrence of ghosting and flaring and capture images with rich gradation suitable for HDR and Wide Color Gamut (WCG) video shooting. 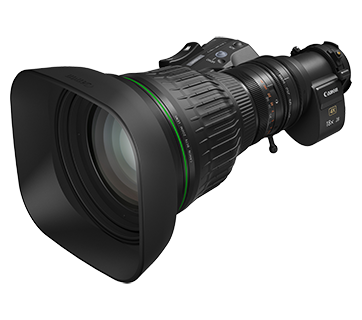 The CJ18ex28B offers an 18x zoom ratio covering a wide focal length ranging from 28mm to 500mm at the telephoto. When using the built-in 2x extender, a focal of up to 1,000mm at the telephoto end can be achieved. Characteristic of the UHDgc series, the CJ18ex28B is highly portable for ease of movement and delivers impactful imagery for diverse scenarios as nature programs, documentaries and news reporting. 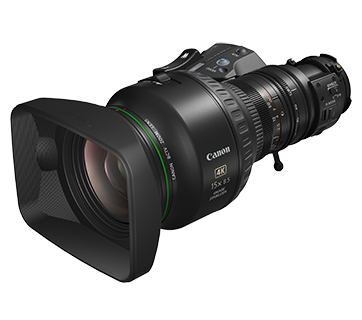 The CJ15ex8.5B employs Canon’s proprietary vari-angle prism1 to achieve excellent image stabilization for a wide spectrum of vibration frequencies across the entire zoom range, from wide angle to telephoto. The lens is suitable for such diverse shooting scenarios as shoulder-mounted and on-vehicle shooting while maintaining 4K optical performance. The CJ18ex28B (IASE S) will be available in July 2019 and CJ15ex8.5B (KRSE-V S) will be available in August 2019.